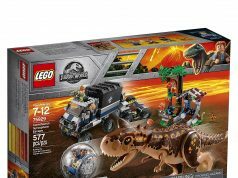 There are now official images as well as descriptions of some of the LEGO Jurassic World: Fallen Kingdom sets which were revealed at the 2018 Nuremberg Toy Fair. NUREMBERG, GERMANY. 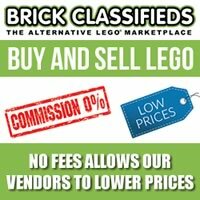 – January 30, 2018 – Universal Brand Development (Universal) and the LEGO Group announced today the launch of their largest Jurassic World partnership to date, offering an expanded line of construction sets, all-new animated content, and, for the first time ever, a lifestyle collection. 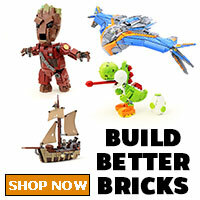 In anticipation of the upcoming global theatrical release of Jurassic World: Fallen Kingdom in June, Universal is building upon the success of LEGO Jurassic World, with the debut of construction sets that span every LEGO age category, as well as two all-new, animated videos, and a collection of soft lines and publishing to reach audiences beyond the toy aisle. 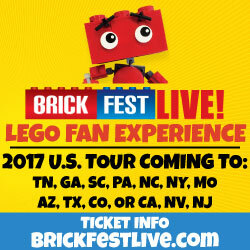 In support of the theatrical launch of Jurassic World: Fallen Kingdom, Universal and the LEGO Group will globally launch 13 constructions sets that span across the various LEGO® play categories: LEGO Systems (ages 6+), LEGO Juniors (ages 4-7) and LEGO DUPLO (ages 2-4), plus a collectability offering with LEGO BrickHeadz, available this spring only at Walmart. The sets will hit shelves in April, with retailer exclusives at both Toys “R” Us and Walmart. Additionally, fans will find new soft line and publishing offerings available later this year. More sets and information will be unveiled at New York Toy Fair in mid-February. 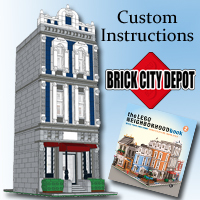 Look for these sets to arrive at retailers and shop.Lego.com in April. There will also be retailer exclusives at Toys “R” Us and Walmart.